With the Legislature holding intermittent sessions during the general election campaign season, the Roll Call Report continues its review of key votes from the 2017-2018 session. To authorize giving up to $1 billion over 20 years in ongoing cash subsidies to Detroit developer Dan Gilbert and possibly others selected by state and local political appointees. To authorize giving up to $200 million state taxpayer dollars to a Taiwan company that builds iPhones, and potentially some other firms. The company ultimately chose to locate a plant in Wisconsin rather than Michigan. 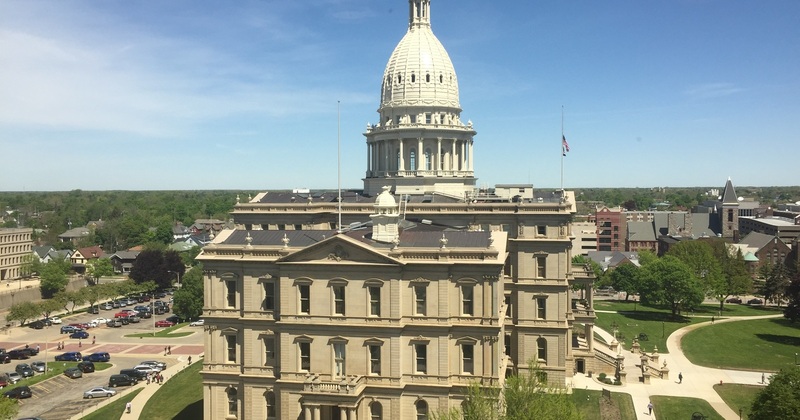 To authorize giving up to $50 million to some private business owners through a device the bill would create called a “rural development fund.” The Senate has not yet voted on this bill. To revise Michigan campaign finance laws that violate the the U.S. Supreme Court's ruling in the Citizens United case, which limited the power of congress and state legislatures to restrict election-related political speech by corporations, including non-profit groups motivated by ideological or political concerns. To allow auto insurance companies to offer policies with less-than unlimited personal injury protection (PIP) coverage; prohibit hospitals and other providers from charging full "chargemaster" rates in these auto insurance cases; add restrictions on pursuing crash-related lawsuits in court (which the no-fault system was intended to minimize), and adopt other reforms likely to lower insurance rates.